This morning I remembered reading years ago something Wordsworth had said about the beatitudes—that many use them as a banner to sail under but few as a rudder to steer by. Pondering this I reflected—we call ourselves Grey Nuns “of the Sacred Heart.” We Grey Nuns live each day under this name, publicly identifying ourselves as women who are one with Jesus’ compassionate love for all. I wondered: Is that truly who I’m striving to be today in my heart and in my encounters with others? How closely does my heart reflect the depth of love, compassion and vulnerability that I’ve known in the heart of Christ, including all in its embrace and excluding no one? How often will I choose to invite Jesus’ love to swell my heart and fill my being? The work of the day and the clamor of competing voices routinely distract me from conscious awareness that I’ve committed to keeping myself centered in the Heart of Christ. 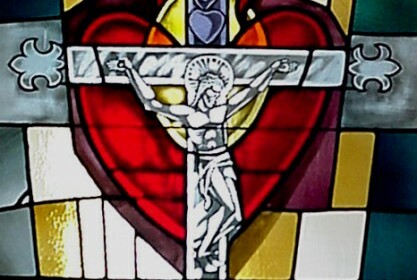 But today, on this Feast of the Sacred Heart, I pray that my inviting the love of Christ into my heart today will draw me closer to living with this love as a rudder and not just as a banner to fly over my name. I invite all Grey Nuns “of the Sacred Heart” to join me in renewing this commitment today. May the love of Christ’s heart truly bless each moment and each person we encounter with the joy and peace the world cannot give.